1. 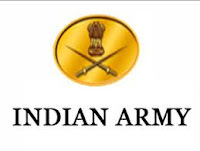 Soldier General Duty (Sol GD) - (a) Matric with 45% marks in aggregate (without mentioning any specific subject) and 33% marks in each subject. (b) No stipulation of percentage required if higher qualification i.e. 10+2 and above. (c) For CBSE, min of D grade (33- 40) in individual subjects and overall aggregate of C-2 grade or 4.75 pts. 1.6 Km Run, Beam (Chin up), 9 Feet Ditch & Zig Zag Balance. Physical Measurement Tests (PMT). Height, Weight & Chest measurement Documentation Check and Interview by Screening Director Medical Examination Interview by Host Director and issue of admit card for CEE. Stage II: Common Entrance Examination (CEE). Negative Marking will be applied in CEE for all categories. Stage III: Evaluation, Preparation of Merit List and Arms Allotment.